A rise in hate crimes following Britain's vote to leave the European Union has brought condemnation from lawmakers and police officials, including investigators in Manchester who are looking into a "disgusting display of abuse" that took place early Tuesday on public transit. A rise in hate crimes following Britain's vote to leave the European Union has brought condemnation from lawmakers and police officials, including investigators in Manchester who are looking into a "disgusting display of abuse" that took place on public transit. The United Nations High Commissioner for Human Rights on Tuesday urged Britain to act to prevent incidents of xenophobic abuse and prosecute perpetrators — amid a spate of racially motivated hate crimes since last week's Brexit referendum, in which immigration was a key issue. Zeid Ra'ad Al Hussein, the UN human rights chief, said in a statement he was deeply concerned by reports of abuse targeting minority communities and foreigners in Britain. "Racism and xenophobia are completely, totally and utterly unacceptable in any circumstances," he said. Britain's National Police Chiefs' Council on Monday reported a 57 per cent rise in hate crime complaints, compared to the same period in May, in the wake of the referendum. 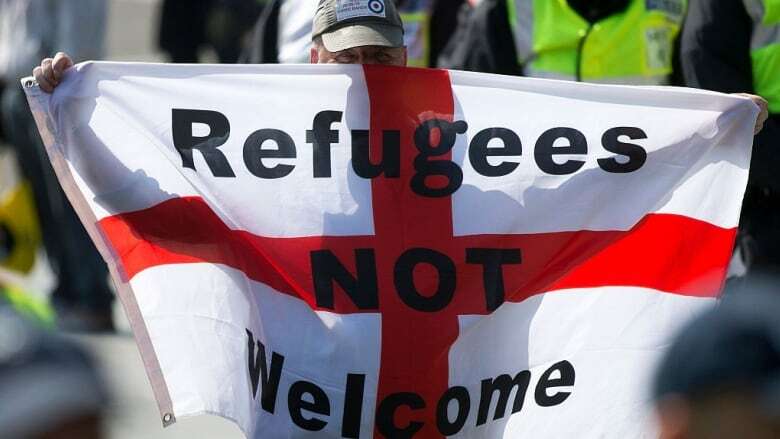 Police in Manchester are looking into one such incident, which was caught on video and circulated on Twitter with the hashtag #PostRefRacism, and involved a group of youths hurling racist insults at another man while riding public transit. One of the youths, who appears to be drinking a beer, tells the man to "get off the tram" and "get back to Africa." He calls the man a "dirty little immigrant," among other things, during a profanity-laced tirade. Warning: the video posted below contains profane language. The man, who speaks with an accent, responds he has probably been in the country since before his assailants were born. The tense scene worsens as the youths move closer to the man while other passengers attempt to intervene. The youths then leave the train amid shouts from other passengers. "You're a disgrace," says one. "To England you are a disgrace." Manchester police said later the scene "has no place in society" and encouraged any witnesses, or anyone who recognizes the youths, to come forward. The incident is one of several being discussed on the Facebook group Worrying Signs, where participants are encouraged to report any racism and bigotry in the U.K. since Thursday's vote. The page is jammed with photos, videos and other recent news stories — including the fire-bombing on Monday of a halal butcher shop in a town outside Birmingham. Police are investigating whether the attack was racially motivated, according to the BBC. "These are dark and dangerous times but hopefully we can spread some awareness and help keep each other safe," organizer Oliver Mackey wrote online. Elsewhere, police are investigating vandalism at a Polish cultural centre in west London and incidents in Cambridgeshire in which cards were given to Polish residents calling them "vermin" and ordering them to leave the country. "Before Friday we lived in a tolerant society," said Oana Gorcea, a 32-year-old Romanian who has lived in Britain since she was a teenager. "I've been here 13 years, but I've never felt like I had to hide where I came from. But from Friday, things completely changed." Gorcea, who works for a multinational company in Rugby, about 135 kilometres northwest of London, said her street was being patrolled by "English commandos who walk around and try to intimidate non-white non-English people." Lawmakers including British Prime Minister David Cameron spoke out against the rise of post-referendum racism on Monday. "We will not stand for hate crime or these kinds of attacks, they must be stamped out," Cameron said. Cameron is meeting with European Union leaders on Tuesday in Brussels for the first time since the referendum, which has sent the world's financial markets into turmoil. He has insisted the vote won't send the U.K.'s economy into a tailspin, even as the country was stripped of its top credit rating and stock markets. Earlier, German Chancellor Angela Merkel said she will use "all her strength" to prevent the EU from drifting apart in the wake of Britain's decision to leave. 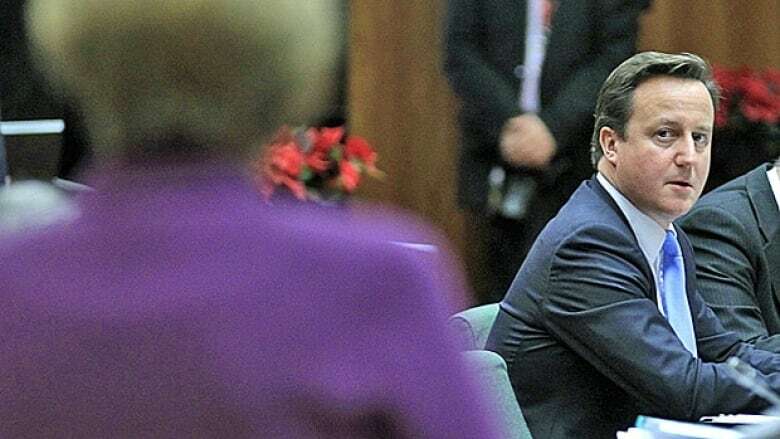 In an address Tuesday to the German parliament, Merkel said she expected that Britain would want to maintain "close relations" with the EU once it leaves, but also signalled that it could not expect a business as usual approach. "Whoever wants to leave this family cannot expect to have no more obligations but to keep privileges," she said. Merkel reiterated that there can be no talks with Britain on leaving the EU until Britain starts formal procedure to leave. Cameron on Monday deflected calls for a speedy departure, telling the MPs that the decision on its timing is "Britain's alone." Cameron announced his resignation following the Leave victory, and is expected to leave by October. 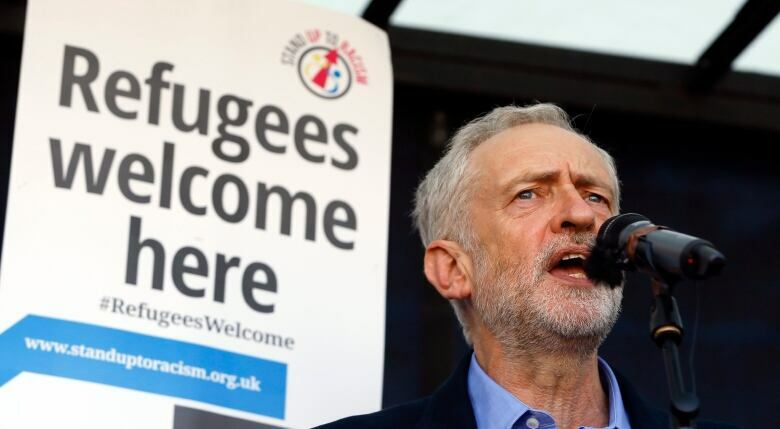 Meanwhile, Labour Leader Jeremy Corbyn, facing a revolt from within his party over criticisms he didn't do enough for the Remain campaign, refused to step down after losing a confidence vote on Tuesday. Some 40 members of Corbyn's inner circle have resigned since the referendum, accusing him of lacking the ability to lead the party. Party rebels hoped the overwhelming vote of no confidence would force him to quit. "Today's vote by MPs has no constitutional legitimacy," Corbyn said in a statement. ""I was democratically elected leader of our party for a new kind of politics by 60 percent of Labour members and supporters, and I will not betray them by resigning,"